I've encountered a scene like this several times in the Upper Peninsula. I found this on twitter and it appears to be in North Carolina. How would you like to look out in your back yard and see this going on. 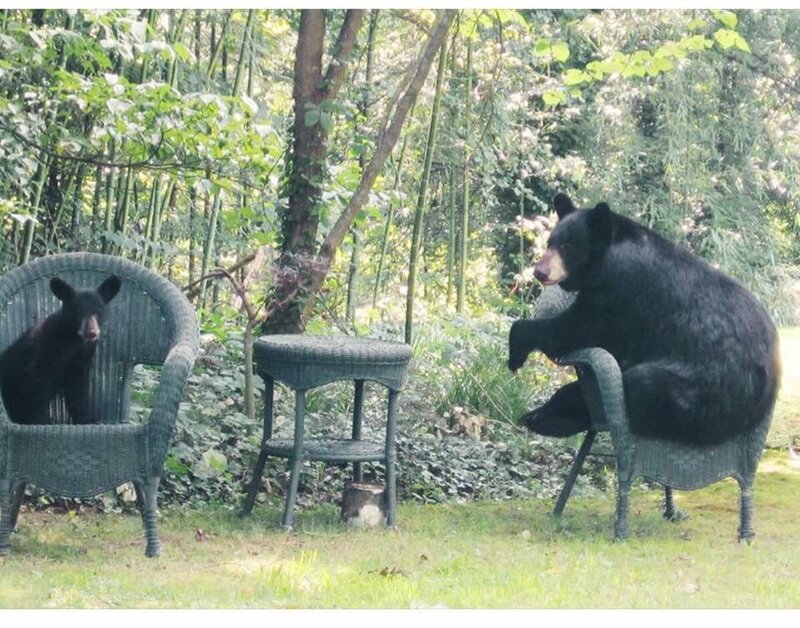 I wonder how many pounds a wicker chair like that can hold? I guess this picture would be a good promotion for the furniture company. "So comfortable the bears rest here"! I had two doctor's appointments today with enough time between them for lunch at R Diner and then time to go walk around Veteran's Park. Here are the birds all lined up on the dam. This is just out in the riverbed below the dam. No idea what these are but my wife thinks maybe it's an invasive species of some sort. I don't like to complain when something is 'free' but Shutterfly is doing something crazy with my pictures! I'll have to try reloading this and posting it again. Ok, from the blotchy photo does anyone know what these are? Let's see how this one turns out. still looking for an idea of what it is. 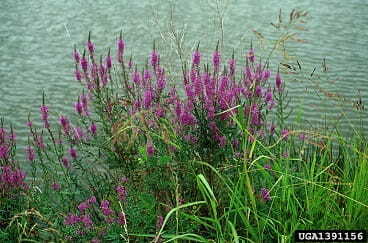 while considered invasive it's already been around since the 1800s. It's pretty, but then again lots of invasive species are pretty.